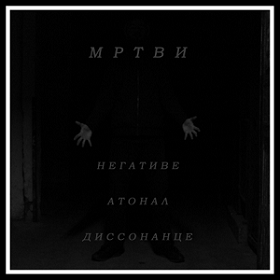 The UK/Serbian based one-man project MRTVI is not for everyone. The utilization of noise mixed with black metal is not new, but tends to be more structured or even intertwined with a good sense of cohesion. Now, that is not saying this project does not accomplish that, but there are at times a distinct separation between the two on their second release, Negative Atonal Dissonance. Noise and droning atmospheres juxtaposed next to raw and chaotic black metal may not be for everyone, but this release stands as one of the more interesting and rewarding of the last few months. 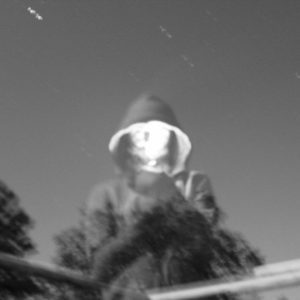 The first of these three tracks focuses on the noise and drone side of the project. Done as an instrumental, but the track isn’t as wild as Merzbow can be, but the deep and dark ambient undertones combine with plenty of higher pitched beeps and electronic flourishes to create an introspective, but wholly downtrodden feeling song. The title of the album is at play perfectly here, and really describes these three tracks in proper order. The best word for the opening track really would be negative. There is an emptiness to the droning, and any addition of sound here and there don’t make the song feel more airy or lighter at all. The album starts off on a very dark note, and the second track just plays into that even more. With the second track, the black metal side shines through a bit, and could appropriately be labeled as raw. The production itself harkens back to some older school black metal, but the sound isn’t as muddy or sounding like it had been recorded in a forest. There is a clear use of production as a tool here, and it works wonderfully. The screams are high and shrill, while the music itself plays alongside the electronic noises to create a utterly atonal experience. It can be a bit grating near the half way point or so, but hearing the two sides of the project intertwine like this is very rewarding. Certainly not “traditional” in many ways, these noises lend to a sense of feeling helpless, and even like you may be going mad before the noise takes over and slows a bit. The track picks back up and continues where it started, leaving you feeling suffocated by black metal and noise. Finishing off the album is not only the titular track, but the longest as well. Following more in the steps of the prior track, there is an interplay of noise and black metal here as well, though the darker ambient side of the noise with the higher electronic whirs and blasts overtake the vocals more this time around. Sounding a bit more like latter Wold material at times, this track combines the aspects of the band’s sound together a bit better than the prior piece does. Obviously the long run-time of this song can maybe turn some away if they are not more inclined to noise music, but when given the time, the piece really takes the listener on a journey. With most noise music, there is a method to the madness, and for me personally, there is almost nothing more introspective than noise. There is a haunting path this song leads you down, and keeps taking windier and windier turns. There is no light at the end of the path though, and no happy ending. When all is said and done, you don’t feel “good” and may more than anything be left wondering what just happened. 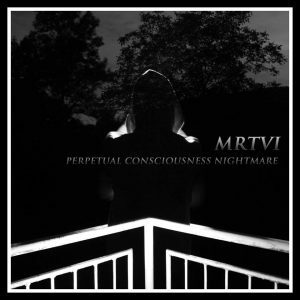 Out on Transcending Obscurity, MRTVI’s second album is not an easy listen. 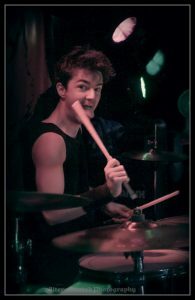 There are some harsh wails from the electronics, and the unconventional approach to their project is not for everyone. However, as far as the more experimental side of black metal, or even just extreme music, Negative Atonal Dissonance stands as one hell of an experience. Harsh in more way than one, there is a journey attached to this album you should be prepared to take. Like most noise music, there is a deeper meaning behind the wailing and piercing sounds, and this is no exception. Certainly not background music, MRTVI took me be surprise, but did not disappoint. While the album has been out for a few months, the saying of “better late than never” truly applies here, and this stands as one of the bigger surprises and fully enjoyable albums of the year. This entry was posted in Bands, Black Metal, Progressive Metal, Reviews and tagged Aborym, Abruptum, ambient, Anaal Nathrakh, black, black metal, Blackened Noise, Crowhurst, dark ambient, Enbilulugugal, John Cage, John Coltrane, Jute Gyte, Merzbow, Miles Davis, noise, Stockhausen, Sutekh Hexen, Swallowing Bile, The Mars Volta, Wold.